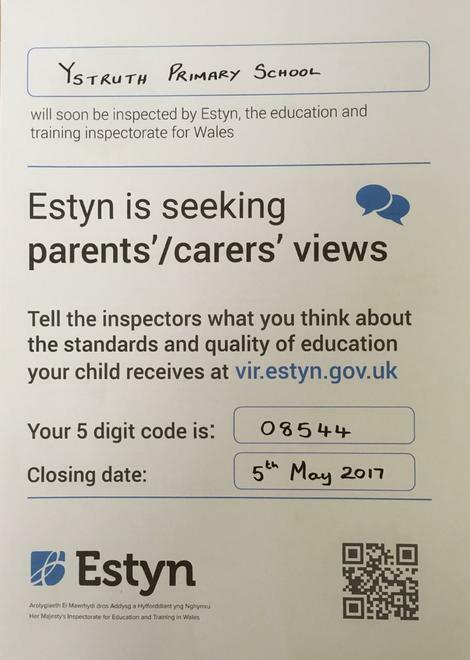 Inspection May 2017 - Estyn Seeking Parents'/Carers' Views - Please see our Link and respond, we value your opinion. Our Forthcoming School Inspection will commence on 22nd May 2017. Estyn are seeking Parents'/Carers' Views. Please see our Link and respond, we value your opinion.